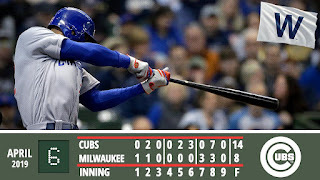 The Cubs ended their six-game losing streak on Saturday with a 14-8 win at Milwaukee. 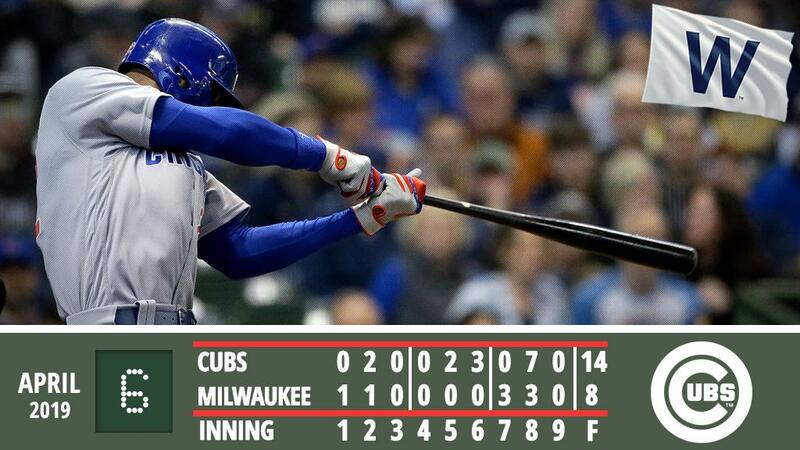 Jason Heyward had his first two-homer game as a Cub while reaching in all five plate appearances and driving in three. Caratini and Bote also each drove in three behind a quality start from Cole Hamels. 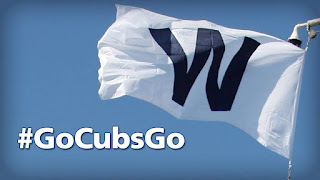 J-Hey became the first Cub since 1900 to tally two homers and two steals in the same game, and Hamels was the first Cub hurler not named Jon Lester to notch a quality start in 2019. Here's hoping that this W puts the Cubs back on track. 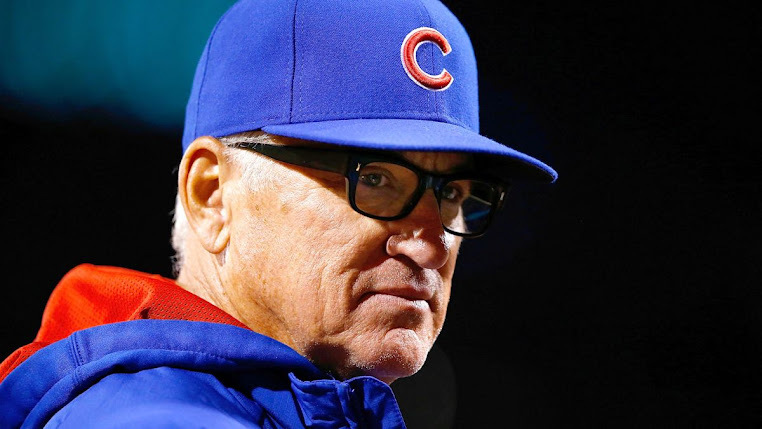 The rubber game of the series is underway at Miller Park, and the Cubs head back to Wrigley for their home opener against the Bucs on Monday.